N.A.I.L.S. in the White House! 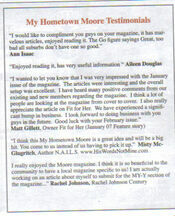 Moore woman shares her gift of acronyms. Click on a thumbnail above to view a larger image. 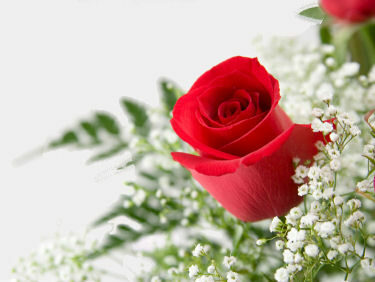 Miracles still do happen and they are more vivid and real to the one who experiences it. Friends, family and co-workers may witness it but only the one who received the miracle can really tell or share the whole story. Such is the case with Misty McGlugritch a wife mother and grandmother who has been a Moore resident for over 20 years and has written a book of spiritual acronyms entitled N.A.I.L.S. Necessary Atonement In Lamb's Sacrifice. 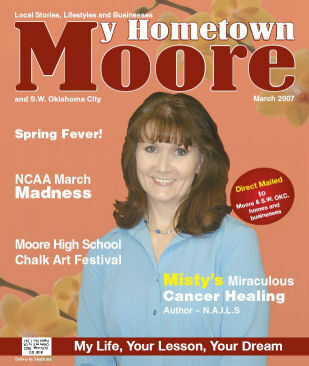 Misty say’s when she was diagnosed with malignant melanoma skin cancer she was over come with fear. Yes, she admits that for a time she fell apart. Her first thoughts were of her husband and children. She was confused and questioned God as to why he would give her a wonderful family just to have them continue on with out her. After hearing all of the statistics and advice Misty decided to give it all to God and began to set her faith in motion that she would be healed! Asking God in a simple prayer of faith to heal her in Jesus name! A friend from church gave her an example of positive thinking, She told a story of a basketball game between Angles and the Devil. She said “Misty, imagine your life as a basketball game. It is the Angels against the Devil You are the basketball. The game is over your Life. Every time you speak positive the Angles get the ball (You) and score goals for your Life, which is for you to live but every time you speak negative the Devil gets the ball (You, your mind, your fear, your focus), and tries to destroy you and your Life”. She began to reject negative thoughts and made flash cards of healing scriptures and began to thank God for her healing daily. 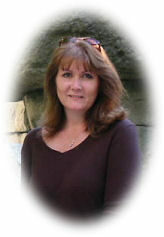 Her former Pastors John and Helen Ore of Messiah Ministries asked her what if God chose not to heal her. After a long pause she said, “I will praise him, because whether I am healed and live on earth or whether I die and live in heaven, I live"! It was a few months later that Carman, her favorite Christian Music Artist gave a concert in Oklahoma City. She attended the concert with her husband and children. At some point during the concert Carman asked everyone who had cancer to stand up. Once standing, he then asked if there was anyone who had loved ones or friends who had cancer to stand up. Her family then stood. Everyone in the concert was asked to lay hands on one another and Carman began to pray. He spoke directly to the cancer telling it to leave in Jesus name. As he prayed Misty saw a vision of a big brother beating up a bully. The bully was the cancer in her body and at that moment she knew she was healed! Later that evening God began to reveal to Misty acronyms, words that teach, encourage and heal. N.A.I.L.S. 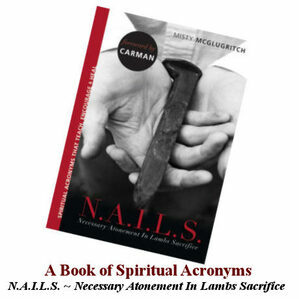 - Necessary Atonement In Lamb's Sacrifice is a 15-year collection of these acronyms. The first 5 chapters of the book pair each acronym with a photo and relevant scriptures. In Chapter 6 you’ll find interesting facts, meanings and interpretations. Chapter 7 is just for you; there are 30 pages to use as a journal, note taking or jotting down your thoughts. Misty began to pray the prayer of Jabez, asking God for the book to go beyond Oklahoma, beyond the United States and beyond the borders of the sea. One night during that same prayer God spoke to Misty telling her to give books to soldiers at war. This was the beginning of the Buy a Book for a Soldier ministry. Books have been sent to Iraq and Afghanistan in care packages from soldier’s families and friends through organizations such as Heartland Community Church and the FAA Bible Study Group. The book has been an encouragement to Jeremi Hufford a soldier serving his second tour in Iraq. He writes that his friend also read the book and marked the acronym L.I.F.E. Lessons In Faith Every Day for him. He felt God reminding him that no matter how bad it gets he should take time to talk to God and not loose sight of his faith. Misty received an email from Malaysia. A missionary named Edmund requested acronyms from her book to teach high school students the word of God. They are now trying to raise the funds to send 100 books to Malaysian students. If you would like to be a part of the Soldier or the Malaysia ministries you can do so by visiting www.HisWordsNotMine.com a special donation link for each has been set up. Misty tells me that the experience she had that night of the concert changed her life and she has not stopped talking about her healing. She has witnessed to complete strangers, but there are no strangers to God? I know God healed me for a reason and I believe that reason is to testify so others can know about God. So others will believe in God enough to see him move on their behalf. I want people to know that God is not some far off distant unapproachable God. No! He is God our Father, our healer, our friend and he wants you to bring your needs to Him. If you want to see the impossible possible then ask for it in the name of Jesus. Jesus said in Matthew 9:28 "…According to your faith will it be done to you". After all F.A.I.T.H. is Fulfillment Arrives in Trusting Him! I asked Misty, so how do you feel about your miraculous healing? She said, I feel Fulfilled! God told me I would not die that he had things for me to do. This book is one of those things. I have always known there would be a book of spiritual acronyms. There is power in the word of God and in His acronyms. I hope those that read the book find these acronyms useful in their ever day life. H.O.P.E. Hold Onto Prayer Everyday. Even though all this is good Misty has one message above all. She wants to give God the glory for her healing and all of these happenings. Her hope is that her story and book will encourage people to recognize that God is a loving and caring God who meets our needs. Misty’s first book signing was hosted by Steve Byas Books in Moore she currently has book signings scheduled for March 17, at Full Circle Bookstore located in 50 Penn Place 1900 NW Expressway from 3 – 5 pm and March 24th at Waldenbooks in Crossroads Mall 7000 Crossroads Blvd. from 2 – 5 pm.